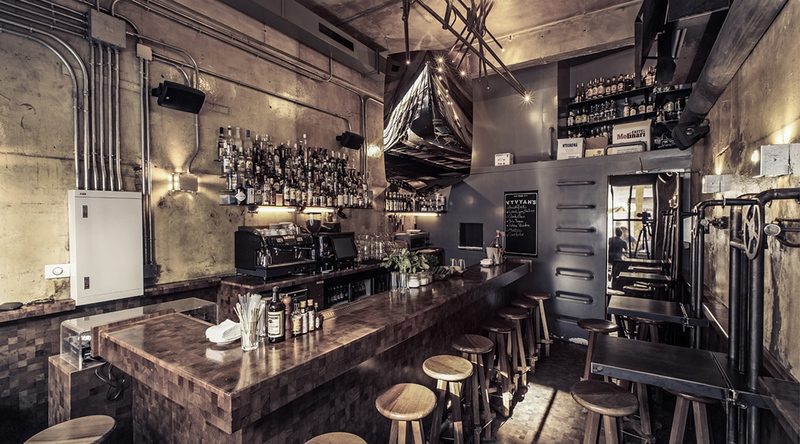 Vyvyan’s is a small, intimate bar in Mar Mikhael with an industrial vibe and a friendly atmosphere. 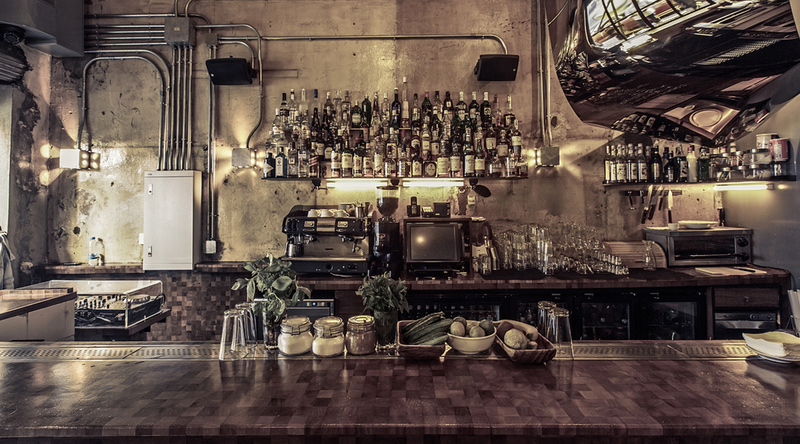 Across from the bar, the tables work on a pulley-system – being raised if just for drinks, lowered for a comfortable dining experience or packed away to allow for more standing room. Exposed piping, run down walls, copper tones and warm woods create a pleasurable yet oddly dystopian atmosphere that appeals to both the imagination and the eye.